In previous entries I’ve been a bit down on the efforts of the architect Leslie Green, and not without cause. When you’ve seen one of his two dozen or so creations, there’s little point seeing any more. 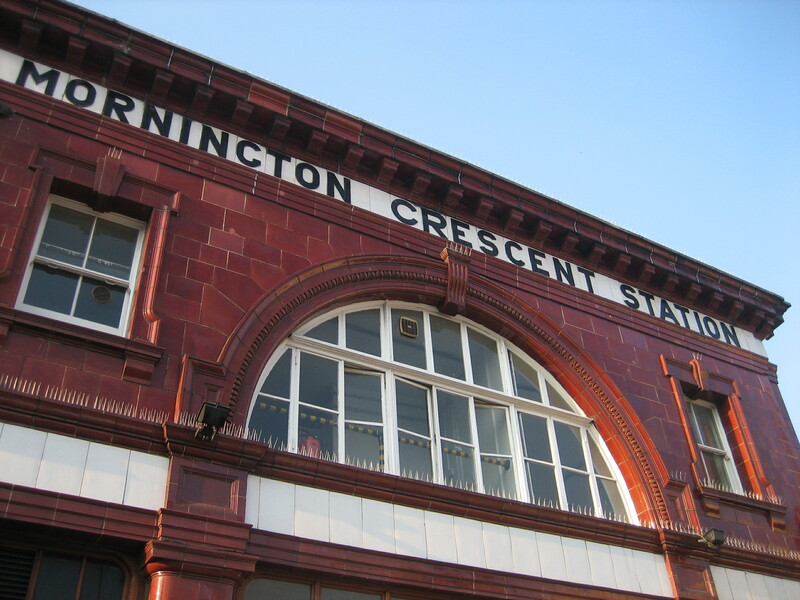 But I’m prepared to make an exception for Mornington Crescent. The reason I’m making an exception is because of its location. The station is not boxed in on all sides by other buildings, thereby rendering its uniform design and texture all the more joyless. It is not undermined by its own limited aspirations, as so many of Green’s buildings seem to be. And it is not cowed by its surroundings, in the process diminishing its personality still further. 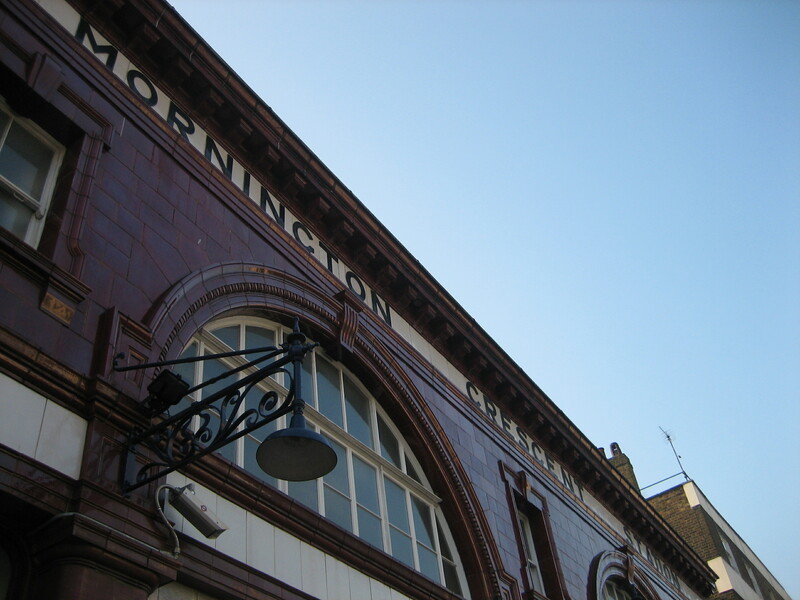 Instead it sits grandly at the bottom of Camden High Street, straddling a junction that allows it not one but two grand facades, which the sun flatters and to which your eye is drawn no matter from what direction you approach. 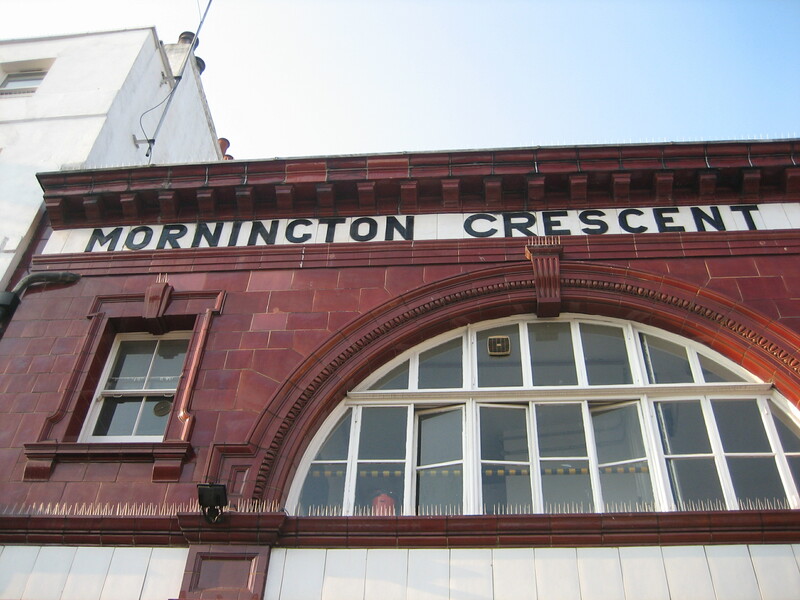 Mornington Crescent station is great in spite of, not because of, its architecture. It also, unlike its architect’s work elsewhere on the Underground, and the panel game to which it has given its name, makes perfect sense. All (I think) of Green’s stations have steel frames, deliberately designed to have rentable building put over them ….. Surely this should have been the last entry?